I didn't mind the Halford / Fight stuff back when. Just remember the Halford / Trent Reznor 2wo collaborations as well. Since we're here, Ministry STILL can't decide to die or not (..new stuff via Nuclear Blast), but I'm sure Al Jourgensen has had larger obstacles to tackle in his lifetime, right? I remember when "The Missing" and "Deity dropped on the previous lp. Kids into Metallica were down instantly. heh. Play LOUD if you haven't already k? I watched this the other week. general synopsis, but hit some valid points imo. ^^ I heard "Eye of the Beholder" on the radio last week. I had to remind myself that it was Metallica.. from decades ago.. heh. My buddy had the one of the grey, Metallica / Pushead "Spider" Zorlac skate decks back in the day. No other metal band nearing 50 years(!!!) in the game is delivering the rawk a'la Priest's new lp. I don't mind the new record. Evil never dies, ya know? heh. (4th April 2018, 23:26)ToRMeNT+ Wrote: ^^ I heard "Eye of the Beholder" on the radio last week. I had to remind myself that it was Metallica.. from decades ago.. heh. 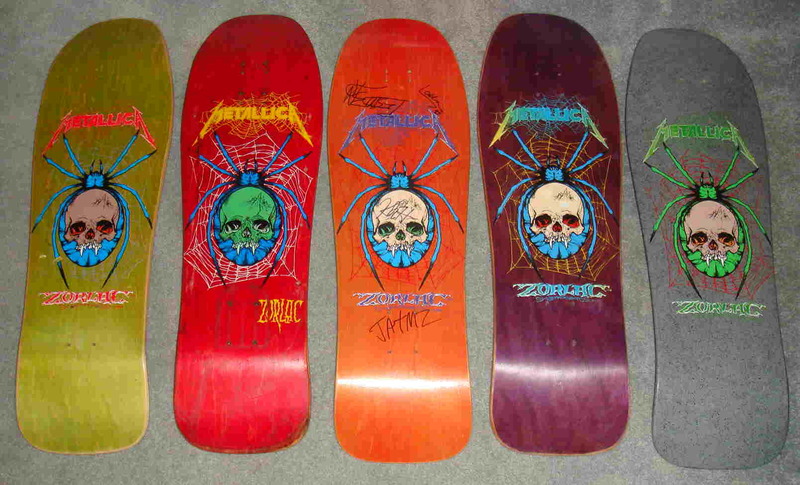 My buddy had the one of the grey, Metallica / Pushead "Spider" Zorlac skate decks back in the day. Heavy night but too many people using their phones instead of moshing. What couldn't be more exciting than a Metallica binge. ^^ I checked bits of that the other week as well. Some decent bits for sure. Will listen to the whole lp. I'll give this a hearing Statts. I like Ace Of Cups music - Annastay introduced I to them.